Our Products are all hand built and manufactured at our works, situated in the heart of the Leicestershire Countryside. Peake Products has designed & developed The Hogg Boss Hog Roast Machine to satisfy the needs of the Caterer demanding quality, reliability and performance second to none. 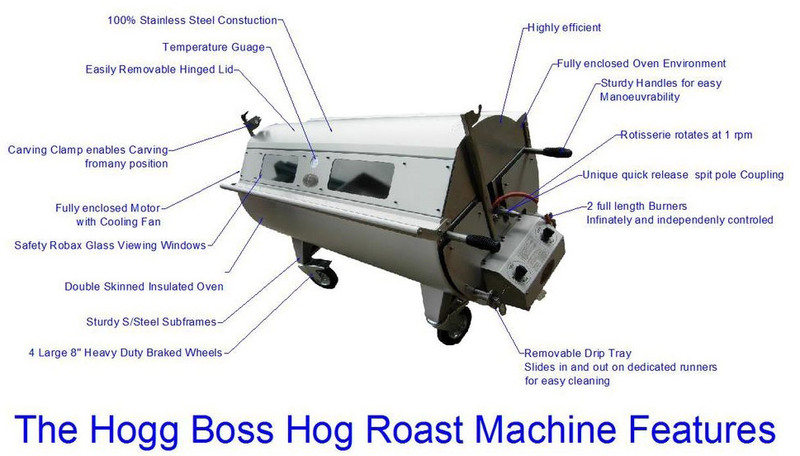 Although there may be cheaper alternatives, none can boast of the high specifications & detail of this Hog Roast Machine, The Hogg Boss with its unique circular design enables heat to circulate, thus making it highly efficient. The Hogg Boss Machine benefits from being of near total Stainless Steel construction because we want our machines to last, be hygienic, user friendly & visually appealing. One of the most important factors in developing the Hogg Boss Hog Roast Machine was that it should be easy to operate & a pleasure to use.